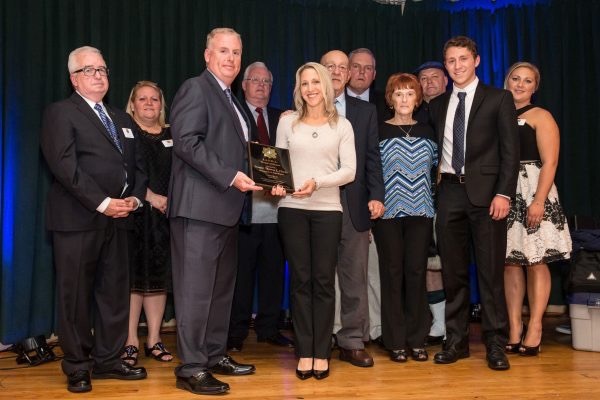 MALDEN — The Irish American Police Officers Association (IAPOA) is pleased to announce that it hosted its 18th annual awards dinner, where it recognized over two dozen police officers for their bravery, humanitarianism and sacrifice on behalf of the communities they serve. The sold-out ceremony on Saturday, May 6, served as a celebration of police officers who risk their lives every day to serve and protect communities throughout Massachusetts, as well as a chance to recognize officers with Massachusetts roots who made the ultimate sacrifice while serving communities elsewhere. More than 300 people attended. Officers were recognized for a broad range of work that went above and beyond the call of duty; including their lifesaving efforts under harrowing circumstances, their efforts to find innovative approaches to the nationwide fight against opioid addiction and their sacrifice in the line of duty and their determination to bring dangerous criminals to justice. Deputy Kotfila, 30, a Falmouth native and son of a Massachusetts State Trooper, was patrolling a Florida highway, driving behind a civilian last March when he noticed a driver going the wrong way. In order to protect the two people travelling in front of him, Deputy Kotfila cut in front of the vehicle and crashed head-on into the wrong-way driver in order to protect others on the road at the expense of his own life. Officer Guindon, a 28-year-old native of Western Massachusetts and a veteran of the Marine Corps Reserve, lost her life on her first day on the job with the Prince William County Police Department. She responded to a domestic disturbance call and was shot, along with two other officers, by a suspect wielding a rifle upon arriving at the home. Trooper Clardy, 44, had started his patrol shift early last March 16 and, while stopped behind a vehicle he had pulled over, was hit from behind by a driver who had been travelling at a high rate of speed on the Massachusetts Turnpike. Officer Tarentino, 42, achieved his lifelong dream of following his father into law enforcement and had served seven years as an officer in Leicester before moving to the Auburn Police. He had stopped a driver and, as he sat in his cruiser during the stop, was ambushed by the man he’d stopped and ultimately succumbed to injuries from the gunshot wound he suffered. 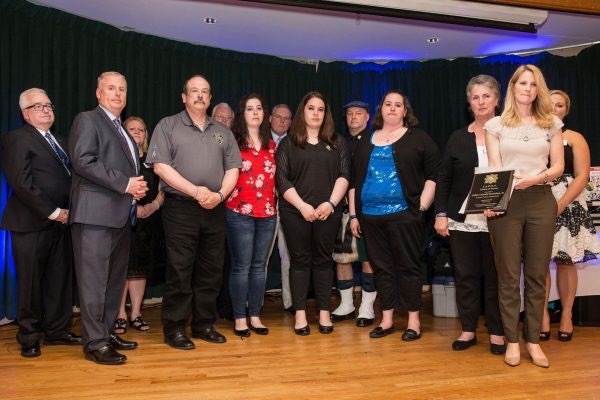 The IAPOA also awarded its Order of Erin Award to retired Woburn Police Detective Charles “Chuck” Carroll in recognition of his years of dedication to the IAPOA, his years of service in Woburn, his love of his Irish heritage and his family. Carroll was remembered as having an unmatched reputation in law enforcement, due in part to his commitment to his work. He also was instrumental in helping the IAPOA become the organization it is today, through his service as a Vice President and on its Executive Board. 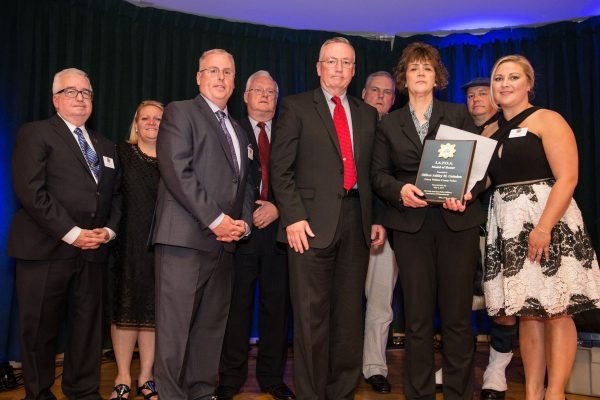 The IAPOA also honored two civilians with its inaugural Sean A. Collier Civilian Support Award. One of the honors went to Dr. David R. King of Massachusetts General Hospital for his repeated efforts to provide life-saving aid to law enforcement officers. The other went to philanthropist and longtime police supporter David Mugar for his support of police through his work organizing the annual July 4 fireworks on the Boston Esplanade, including his help in organizing and supporting the Unified Command Center available for the event. 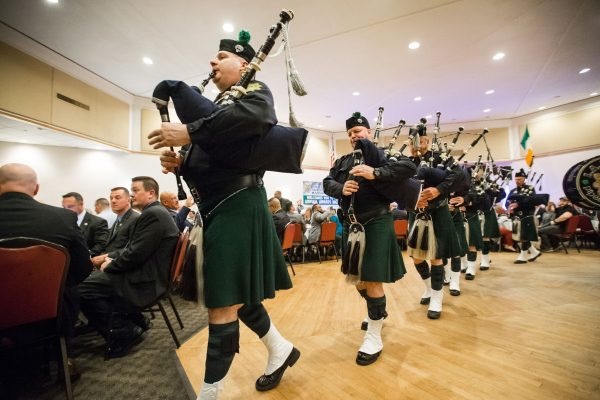 The awards dinner, which was held at the Malden Irish American Club, was emceed by WBZ-TV’s Juli McDonald and also featured performances from the Deirdre Goulding School of Irish Dance and the IAPOA Pipes and Drums Band. 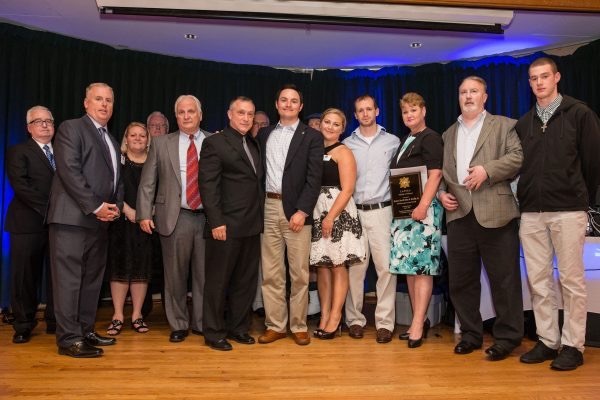 For more information on the Irish American Police Officers Association, visit http://www.irishamericanpolice.org or email irishamericanpolice@yahoo.com or President Bob Sweetland at Rsweetland@quincyma.gov.